Here is some detailed information about our shipping schedule. We know we provide a lot of information, but we really want you to know what to expect when you open your box of plants. Non-plant items are shipped year-round. Our regular shipping season for plants is March through November. Some plants may have shorter shipping seasons so we provide you with those details below. Orders placed in winter [December through March] or outside of a plant's shipping season are shipped in spring at an appropriate time for your area. You are always welcome to select a custom ship date. Orders placed during the growing season are processed and shipped as soon as possible, usually in 2-4 business days. 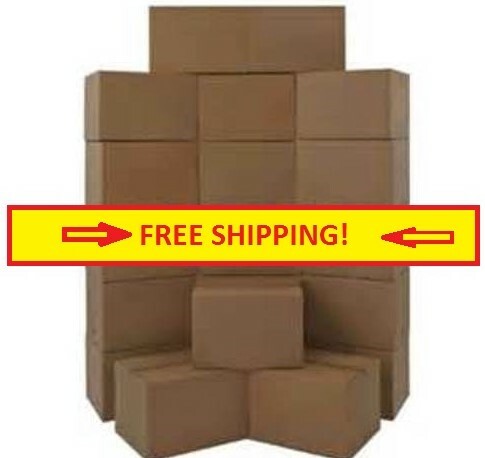 Our FREE SHIPPING is possible when we can ship your entire order in one shipment. If your order contains plants with different shipping seasons we will hold back your order until it can be shipped in its entirety. You are always welcome to submit separate orders to avoid delays. ASTILBE: Shipped live, potted & growing from March to November. Kindly note that plants shipped in March will be just emerging and have little foliage. Plants shipped in late October and November may be dormant with the foliage trimmed, all dependent on Mother Nature's plan. Upon request Astilbe can be shipped dormant in winter [December-February]. AQUILEGIA: [Columbine] Shipped live, potted & growing from March to November. Kindly note that plants shipped in March will be just emerging and have little foliage. Plants shipped in late October and November may be dormant with the foliage trimmed, all dependent on Mother Nature's plan. Upon request Aquilegia can be shipped dormant in winter [December-February]. ECHINACEA: [Coneflower] Shipped live, potted & growing from June to November. Our echinacea are grown outside and will arrive to you "hardened off" and ready for your sunny garden. Sometimes Mother Nature lets us ship in May. Kindly note that plants shipped in late October and November may be dormant with the foliage trimmed, all dependent on Mother Nature's plan. Echinacea liners. These small starter plants need time to establish a good root system before winter so these un-potted plugs are only shipped from April to June. FERNS: Shipped live, potted & growing from June to November. Plants shipped in late October and November may be dormant with the foliage trimmed, all dependent on Mother Nature' plan. Upon request ferns can be shipped dormant in winter [December-May]. HEMEROCALLIS: [Daylily] Shipped live, potted & growing from March to November. Kindly note that plants shipped in March will be just emerging and have little foliage. Plants shipped in late October and November may be dormant with the foliage trimmed, all dependent on Mother Nature's plan. Upon request Daylilies can be shipped dormant in winter [December-February]. HEUCHERA: [Coral bells] Shipped live, potted & growing from April to November, unless otherwise noted in plant description. Plants shipped in late October and November will be dormant with the foliage partially trimmed. Upon request Heuchera with prices ending in "8" [example: $12.98 or $11.98] can be shipped dormant in winter [December-March]; kindly note that plants shipped in winter will be partially trimmed. Heuchera liners. These small starter plants need time to establish a good root system before winter so these un-potted plugs are only shipped from April to June. HIBISCUS: [Hardy Hibiscus] Shipped live, potted & growing from June to November. We prefer to ship live growing plants and Hibiscus are the last of our plants to emerge in spring. Sometimes Mother Nature lets us ship in May. Kindly note that plants shipped in late October and November may be dormant with the foliage trimmed, all dependent on Mother Nature's plan. Upon request Hardy Hibiscus can be shipped dormant in winter [December-May] but we do not recommend this unless you have lots of gardening experience. HOSTA: Shipped live, potted & growing from March to November. Kindly note that plants shipped in March will be just breaking dormancy and have few leaves. Plants shipped in late October and November will be dormant with the foliage trimmed. Upon request Hosta can be shipped dormant in winter [December-February]. Hosta liners. These small starter plants need time to establish a good root system before winter so these un-potted plugs are only shipped from April to June. PHLOX: [Tall Garden Phlox] Shipped live, potted & growing from March to November. Kindly note that plants shipped in March will be just emerging and have little foliage. Plants shipped in late October and November may be dormant with the foliage trimmed, all dependent on Mother Nature's plan. Upon request Phlox can be shipped dormant in winter [December-February]. SEDUM: [Cabbage Plant] Shipped live, potted & growing from March to November. Kindly note that plants shipped in March will be just emerging and have little foliage. Plants shipped in late October and November may be dormant with the foliage trimmed, all dependent on Mother Nature's plan. Upon request Sedum can be shipped dormant in winter [December-February]. ALL OTHER PERENNIALS: Shipped live, potted & growing from March to November. Kindly note that plants shipped in March will be just emerging and have little foliage. Plants shipped in late October and November may be dormant with the foliage trimmed, all dependent on Mother Nature's plan. Please inquire about availability if you prefer these perennials to be shipped dormant in winter.